Parrikar had been suffering from pancreatic cancer. Goa Chief Minister and former Defence Minister Manohar Parrikar passed away on Sunday at the age of 63 after battling pancreatic cancer. 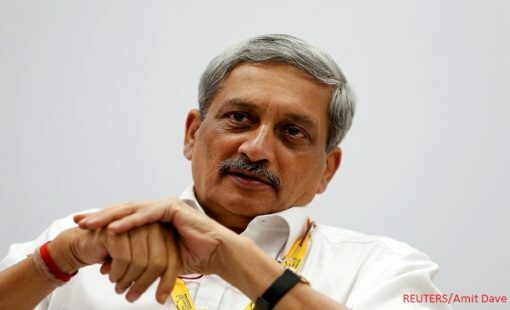 Parrikar breathed his last at his residence in Goa on the evening of March 17, 2019. He is survived by his two sons and their families. The government has announced March 18 as a day of national mourning, wire agency ANI reported. Parrikar will be accorded a state funeral, it further said. The four time Goa chief minister had served previously as the defence minister of India from November 2014 to March 17, 2017. Parrikar was the first alumnus of Indian Institute of Technology (IIT), Mumbai to serve as an Member of Legislative Assembly (MLA) of a state. Prime Minister Narendra Modi called him a ‘true patriot and exceptional administrator’, while offering his condolences on Twitter. Senior BJP leaders and opposition parties members also condoled his death.